E-pilgrimage: Imam Reza Calling You! 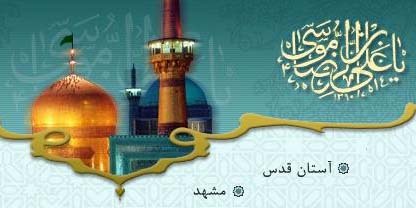 Tehran, Feb 23, Taliya News - Internet users around the globe can from now on enter the website of Astane-e-Qods-e-Razavi and have an electronic pilgrimage of that holy site. Astane-e-Qods-e-Razavi announced on Tuesday the address of its website www.aqrazavi.org adding that there is a question and answer (Q&A) link on its homepage through which the users can pose their religious questions and seek consultations. In this site there is also a link labeled 'Green Connection' reflecting the heartfelt memories, through which all visitors can express themselves, or even to perform an e-prayer. Getting in contact with officials at the Holy Shrine's Public Relations and numerous other centers, including the shrine's electronic library, too, is possible through this site.